Two years later, he scored another victory, winning the show “Dance with me.” But that was just the beginning, as he was taking part in many popular shows and contests together with a group of professional dancers. Participating in the national selection was just a matter of time for Donny Montell. 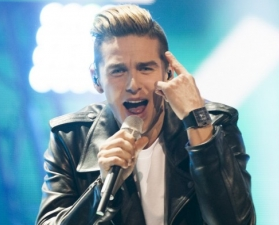 In 2012, he introduced himself to a much wider audience, by taking part in LRT’s selections “Eurovizija” with the song Love Is Blind. Winning the national selection in Lithuania brought him to Baku, where he took part at the Eurovision Song Contest for the very first time.